“this isn’t such a bad gig!” . . . . Nothing will dispel wintertime doldrums like a trip to the feed store in March and April. 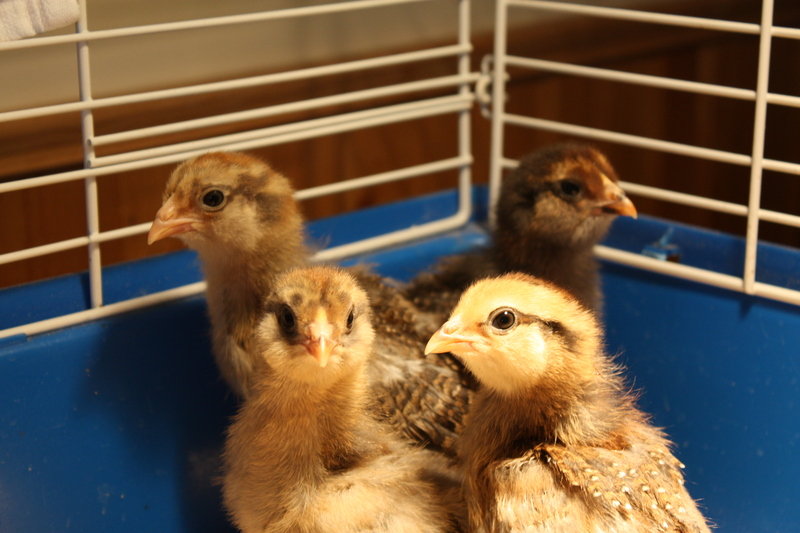 Baby chicks, ducks and geese arrive and a cacophony of peeps and cheeps greets you as you walk in the door. Tiny fluffy creatures barely a few days old are huddled under the heat lamps napping or racing up and down the cage, scattering wood chips into their water bowls. I purchased a variety of breeds last year and have enjoyed observing the differences in their behavior and variety of colors of their eggs. All eleven hens have become dear pets with distinct personalities and I am hoping they will accept these four new additions once they have reached pullet size and can be placed into the pen with the adults. This year I chose Araucana for their blue and green eggs, as well as their colorful foliage. Originating in Chile, this breed was created by the Mapuche tribe and is a uniquely tailless bird with feathery tufts covering its earlobes. They will tolerate our cold climate well and won’t mind being confined to a large outdoor pen adjoining the chicken house. The laundry room is in an uproar, needless to say, and a rabbit cage balanced between the washing machine and the clothes dryer is home until the weather warms and they can be moved into their next home in the calf warmer. Formerly the old bathroom in our house, the laundry room has been remodeled but has housed baby chicks, goslings, calves, piglets, lambs, deer, puppies, kittens and heaven only knows what else our family managed to haul indoors for intensive care since moving here in the 1940’s. Eeenie, Meenie, Miney and Moe . . . .
Naming these pretty little girls with “official” names will be difficult and will have to wait until they display more physical and behavioral characteristics. 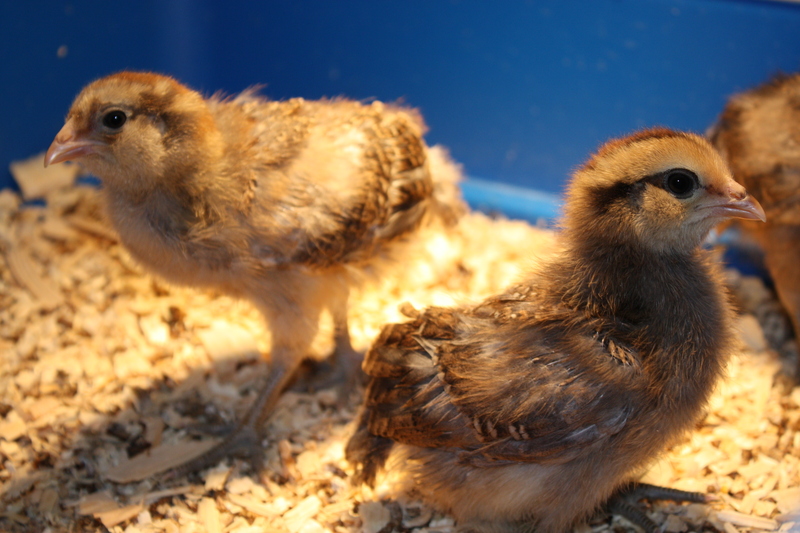 This entry was posted in Wildlife blog and tagged Araucana Chickens by bygeorge. Bookmark the permalink.